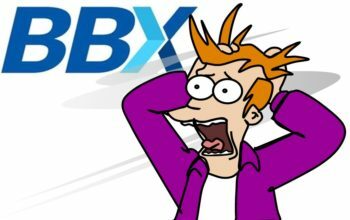 This is a summary of the failed BBX International barter exchange, which (apart from release of the core data) wraps up The BBX Investigation. The more noise the less truth. A repeating meme peddled by the Touma family is that they were squeaky clean. Not so. Pilfering by the Toumas for personal gain, shonky deals and outright theft of their members occurred for decades. The capacity to create credit gives enormous power to those who create it. When this off the backs off the members, then this creates incredible opportunity for greed and self-interest to have its way. Transparency is the key. You can’t eliminate evil but getting the facts out there (post the crimes) forces the cockroaches to run for cover before they get whacked. Transparency BEFORE the crime will usually prevent it, after all it is the deception that people can trust others, like the Toumas’ “Trust us” that allows the greedy and immoral to have their way at the little peoples’ expense. Leverage off the credit of little people is powerful. That leverage can also be done by individuals, so that the lessons learned by the bad guys can be applied by the good guys in the right way. Mutual Credit, and specifically commercial barter exchanges are not the problem. The problem is that members not knowing what is really happening behind the scenes (cherry-picking; theft; currency debasement etc) creates the environment where human failings can flourish. BBX UK has been a member of IRTA for years. BBX International joined IRTA relatively recently with fanfare from the Chairman talking of “quality”. Despite prior notice, IRTA has while this entire series has been published has failed to act (other than to try to limit the damage to their reputation). Conclude what you will from this! In the next post in this series I release the raw BBX International database, then conclude with publication of the book, “The BBX Investigation”.